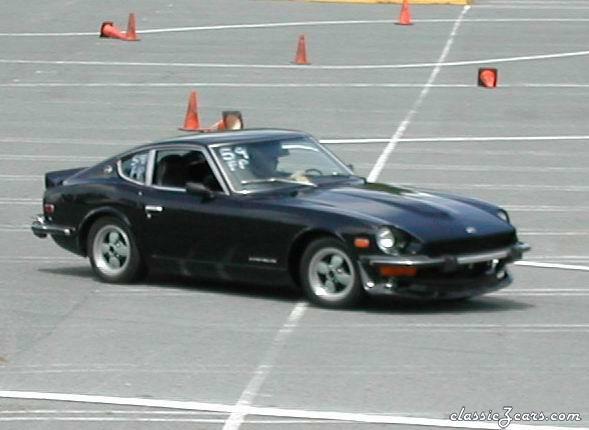 How many ZZZAP 280Z cars were made? The Z doctor in Roanoke VA did it with a 240 and a NA rotary. Then went up to a turbo rotary. It screamed!!!! It was way too fast! This is also back in 96...Rob Robinson built it (who worked for Z doc) and they could point you in the right direction. Hi, I have a really nice 260 for sale. If you go to: http://mike-foreman.tripod.com/260Z/index.htm you will find more information on the car. It's a clean car, and I'm asking 3500, which I believe is a very reasonable price for the condition of the car. Located in Charlotte, NC. What do you think of the new 350 z? Rocker Arm off, smoking engine! mrf240Z replied to mrf240Z's topic in Help Me !! mrf240Z posted a topic in Help Me !! Question, my motor was smoking I looked at the plugs and #3 was covered with oil, all others looked good. I found that the rocker arm for the intake was completely off the valve spring!!! So, why would oil leak down and should I pull the head and get it checked out? What are your thoughts? Burned Valve? Rings can't be washed out because intake was closed...Help!! Purchased for 2500. Very good deal in the condition it's in. Ok, the people at Nissans design center have way too much IKEA furnature, because the interrior came out of someones living room. Way too contemporary and theres no flow to the cockpit. If you look at the interrior pics from R&T, there is some void space behind the instrument cluster- final designs will be interesting...Also no one mentioned on this forum about the front of the car. Isn't that the ugliest front you have seen on a sports car? I was comparing a 240 w/the 350 and although a 240 has all that opening in the front it 'works'. It looks like some big mouth on the 350Z, and the headlights could use some work too. Sorry all, but it's too bad Nissan couldn't have given the body to Pinafarina and let em mold a piece of Art. I can see the aftermarket body panels come out and look 10x better as soon as the car hits the streets? What are your thoughs? #6 Z owned...Picked this beauty up in Virginia two weeks ago, clean car, just replaced the struts this weekend (KYB) but other than that, it's very clean. Love those BRE style weels (Americian Racing). Headers, 72 carbs 4spd.- It even has factory AM/FM raido that works!